On Dec. 7, 2015, the Diocese of Duluth filed for bankruptcy protection under Chapter 11. 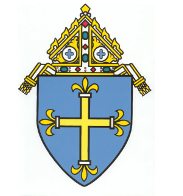 On this page you will find information relevant to fulfilling the diocese’s obligations under that process as well as information on the reorganization process. Anyone who wishes to file a claim and would like documents sent to them is invited to call the Diocese of Duluth at (218) 724-9111.